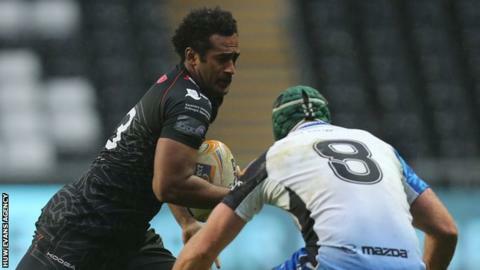 Ospreys wing Aisea Natoga has undergone surgery to repair a broken jaw. The 23-year-old Fiji international, who has won five caps, sustained the injury during last Saturday's 45-20 win over Connacht at the Liberty Stadium. Natoga took a blow soon after replacing Jeff Hassler in the 65th minute and was forced off the field and taken straight to hospital. "Aisea had an operation at the weekend," Ospreys medical performance manager Chris Towers said. "He will have the injury reviewed at the end of this week after it has settled down, at which point we'll be in a better position to give a possible timeline for a return to play date."